Very Good. 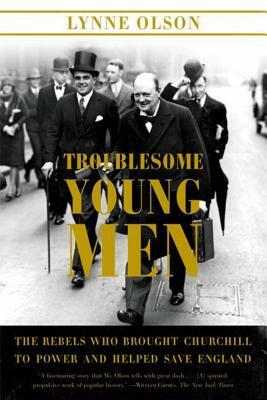 Troublesome Young Men: The Rebels Who Brought Churchill to Power and Helped Save England by Olson, Lynne, 2007-04-17. Glued binding. Paper over boards. With dust jacket. Contains: Illustrations. Very Good. Troublesome Young Men: The Rebels Who Brought Churchill to Power and Helped Save England by Olson, Lynne. Sewn binding. Cloth over boards.